Mobile Payments will become the primary form of currency – It is coming! Not only will cash be used significantly less, but your smart phone will also become the primary form of payment for many customers. The New York Times reported that Square, a mobile payment app, will begin processing all credit and debit card transactions at Starbucks’ stores in the United States, and eventually customers will be able to order a grande vanilla latte and charge it to their credit card simply by saying their name. This technology will eventually eliminate customers from even needing to use phones for the transactions. Mobile Secret Service – This is crazy stuff! Initially, Starbucks’ customers will need to show the merchant a bar code on their phone. But when Starbucks uses Square’s full GPS technology, the customer’s phone will automatically notify the store that the customer has entered, and the customer’s name and photo will pop up on the cashier’s screen. The customer will give the merchant his or her name, Starbucks will match the photo, and the payment will be complete. 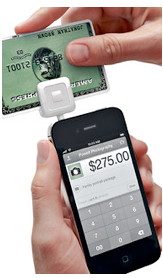 Read all about it: Starbucks & Square to Team Up. 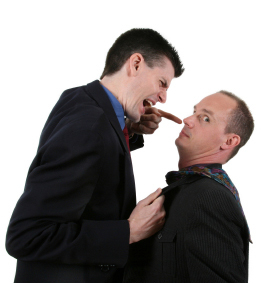 Grudge Buy – Traditionally, going to the dentist is considered one of the biggest “grudge buys” we have to make. A grudge buy is something we need, have to do, but is the last thing we want to do with our time or money. Other grudge buys can be insurance, auto repairs, calling for technical support or dealing with your attorney. Businesses that offer grudge buy services and products start off with a distinct disadvantage versus a spa experience or a quick visit to your local Starbucks. However, in many cases there is an advantage to this grudge buy perception. The consumer’s expectation for an enjoyable experience is typically very low. I believe when this is the case, these businesses have an easier time wowing the customer. The Ultimate Patient Experience is a complete Customer Service Delivery System that is designed to make every visit to the dentist a thoroughly enjoyable experience. Dr David Moffet, the Dentist from Down Under (Sydney Australia), is the creator of “The Ultimate Patient Experience.” ™ The UPE is a complete Patient Experience System that dramatically increases the individual value of each and every patient along with increasing repeat patient visits and internal patient referrals. It also dramatically increases new patient telephone inquiry conversions. Dentists across the world are successfully using The UPE to exponentially grow their businesses and add significantly to their practice value, without any additional ad spend, new equipment, or stress. 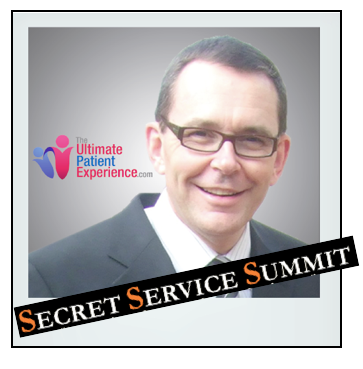 At this year’s Secret Service Summit, Dr. David will be sharing how he built a World-Class dental practice and then sold it, and now is a consultant teaching other medical practices The Ultimate Patient Experience.